There are many, many uses for calendula! Calendula is perhaps most commonly known as a first aid remedy for cuts and wounds. It’s also used internally as an antimicrobial to help the body resist pathogens such as bacteria, viruses, and fungi. Having anti-inflammatory, anti-bacterial, anti-fungal, astringent, and vulnerary properties, calendula is also a good herb for the skin. In this post, we have gathered together some of our favorite recipes and remedies using this herb for all sorts of uses. Just about all of these recipes will require dried calendula flowers, which you can harvest and preserve on your own or purchase them from a quality source. For tips on drying calendula, check out Joybilee Farm’s article here; and if you choose to purchase your herbs, we trust Mountain Rose Herbs as a quality source. Here’s what you are going to need. The changing of seasons, right around late summer, is the perfect time of year to prepare one of our favorite cold and flu recipes using both calendula and elderberry. I especially enjoy making medicine from fresh plants, so this is the time to make my favorite cold and flu remedy – Elderberry Calendula Cold and Flu Elixir – including both elderberry and calendula, rose hips, orange peel, ginger, and elderflower. Drinking tea made from calendula can help in the treatment of urinary tract infections. Additionally, the healing and anti-inflammatory properties of the herb make it very soothing on the throat. Simply use your calendula tea as a gargle when your throat feels sore. You can use this herbal sugar scrub every time you shower, or you can alternate it with soap as often as you’d like. Gently massaging it into your skin feels great and the oils will leave your skin soft, nourished, and glowing. If you too have been struggling with finding the perfect natural deodorant that keeps you from stinking, here it is. Another easy balm recipe, which is a great use for diaper rash! This homemade toner is not only hydrating to the skin, but slightly astringent, anti-inflammatory, and promotes healing of skin thanks to the calendula. Jan, author of Cold Process Soap Basics and Recipes and blogger over at The Nerdy Farm Wife shares with us two great recipes using calendula! This is a mild, unscented calendula soap bar that is gentle enough to use on almost everyone from babies to grandmothers. This is another one of The Nerdy Farm Wife’s recipes, a great natural remedy for irritated eyes caused by: allergies, pool water, dryness, dust, wind, eye strain and even pink eye. Of course, be sure to read the caveats and precautions at the end of her post before going ahead with the remedy! Certain times of the year, pollen is really bad and affects everyone in the family, including the pets! This Herbal Sinus Infusion is a great recipe for treating seasonal discomfort. This combination of herbs is a great remedy to use on hot, damaged skin from a sunburn. The herbs used in the herbal burn salve recipe above are commonly used herbs for burns, coming together for the perfect remedy! The simplest remedy to treat environmental damage is to moisturize it with protective cream. You could of course buy it but it’s far more fun and less expensive to make it yourself. Another benefit to making your own is that you can control which ingredients you use and keep it as natural as possible. This healing balm is excellent for acne, scrapes, burns, bruises, diaper rash, new tattoos, muscle pain, chapped skin and postpartum bottom care. From the Freerange Life, get this recipe for a moisturizing lip balm using dried calendula. It is simple to make and, best of all, only contains ingredients you can pronounce! So how are you using calendula? Share with us in the comments! 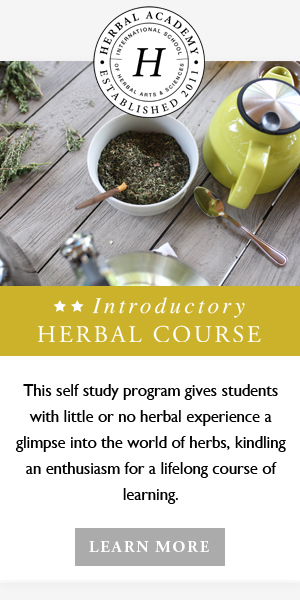 If you are interested in learning more about calendula uses along with many other uses of common and not-so-common herbs, join us anytime in our Online Introductory Herbal Course or Intermediate Herbal Course.